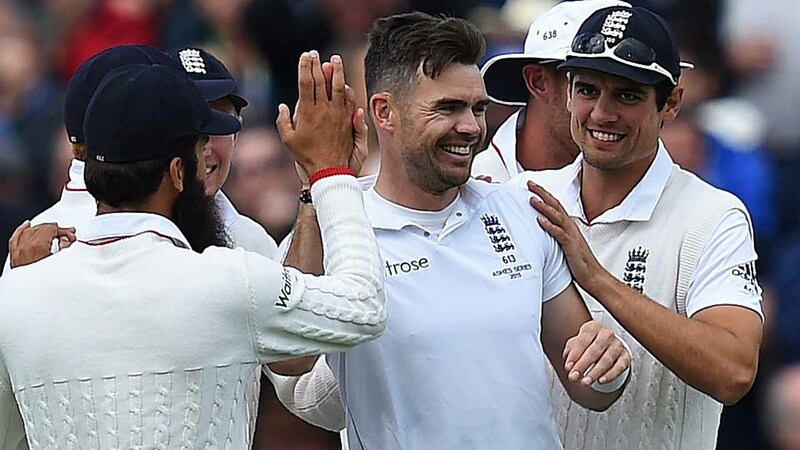 James Anderson says England must continue their early momentum following a dominant opening day at Edgbaston in the third Investec Ashes Test. Anderson completed figures of 6-47 as the visitors were all out for 136 midway through the second afternoon, before closing the day on 133-3 in reply. “We’re in a good position but there is still a long way to go in this Test,” Anderson said. “We’ve got to get guys in on that pitch and there is still a bit of movement there. “We’ve got the quality in our side to get a decent lead and that’s what we’ll be looking to do. “After losing the toss, we didn’t really know what to expect with the pitch and it moved more than we thought off the seam, and I thought we bowled really well throughout. Australia’s opening batsman Chris Rogers, who scored 52, was quick to praise the England attack whilst admitting the tourists are now behind the game. “We won the toss, we had first crack at it, but England bowled well and put us under pressure and we didn’t respond and we’ve got to get better at that really,” he said. “It [the pitch] was quick enough so when it nicked and got the edge it carried. “They exploited it very well, swung them both ways and hit the right length so all credit to them. This entry was posted in Uncategorized on July 30, 2015 by Daniel Robbins.